Select from: Federal or State Posters! AK, AZ, AR, CA, CO, FL, ME, MA, MN, MS, MT, NJ, OH, RI, SD, VT, and WA have poster updates for 2019. Orders placed prior to 1/1/2019 will be held until the new poster is available. 17 states have minimum wage updates for 2019. In 2019, 17 states will have raised their minimum wage rates - bringing more than half of U.S. states above the federal minimum. Make sure your business has the most up-to-date mandatory posters required by both the Federal and State governments. Are your posters updated and in compliance? BLR covers all your Federal and State labor law posting requirements with this simple solution. You'll have every poster you need in one place - and eliminate the need to track down complex state employee notice requirements. Order your posters and relax, just place them in lunchrooms, near time clocks, employee entrances, etc. to stay in compliance. You can rely on BLR for current information when regulation changes are announced we quickly revise poster and make it available for you to purchase with the latest data. Information on these posters is continuously monitored and updated by legal experts to ensure they are accurate and up-to-date. 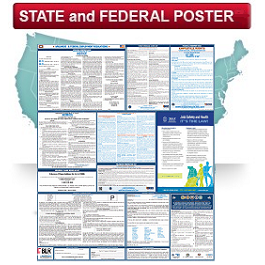 Federal Poster is available in either English or Spanish. State posters are available in either English or Spanish for most states. Order online or if you have questions, please call 800-727-5257 for assistance with your poster order. Normal delivery for this product is 2-3 weeks. 2-day rush delivery is available for an additional fee. 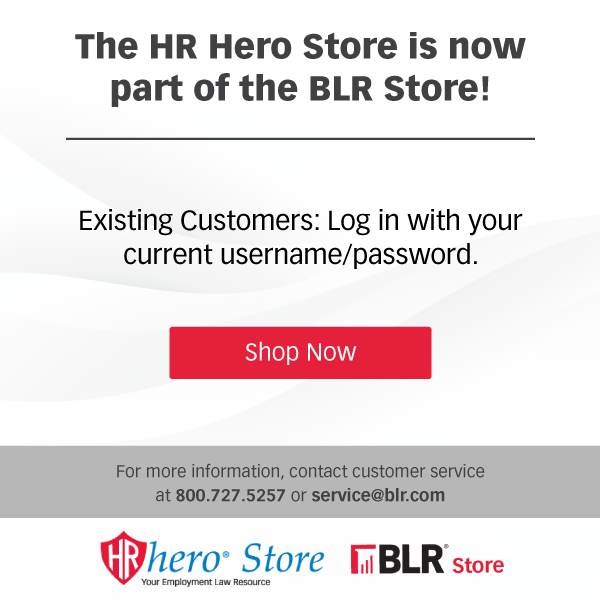 Overnight delivery is not available for this product also we are sorry but we cannot offer free shipping with credit card offers for this product. GUARANTEE: Your 100% satisfaction is guaranteed. If for any reason you are not completely satisfied with your BLR Poster Kit, simply let us know within 90 days, and we will issue you a complete refund.